100% first deposit bonus up to €2,500. Doxxbet is one of top 100 most recognized bookmakers offering sports betting and casino services. 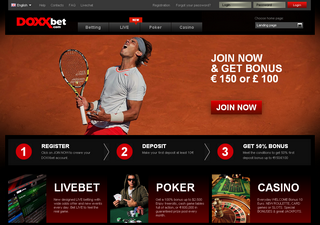 Created in 1994 in Slovakia the bookmaker launched its online platform in 2007. The bookie is part of the DOXX Group Ltd and has very stable financial backing. Company’s headquarters are located in Malta with a physical address available on their “Contacts” page. Since their creation, the company has gained a lot of popularity not only in its country of origin but the whole of Europe. While most of the countries are allowed to register on the site, players from USA and France are not allowed. The site offers some of the best odds for sports waging and quickly made it to the top of the industry. The company has made quite an effort in marketing their services. In 2014, they became the official sponsor of the Slovakian second-level football league which is now called Doxxbet Liga. It looks like the bookmaker wants to keep their platform growing and invests in the future of the company. There is no doubt that this bookie is here to stay and won’t give up under the pressure from more famous names in the industry. Doxxbet has ended its activities and services and it is no longer active. The platform is very simple and easy to use, and even a novice could handle it pretty well. There is a wide range of sports you can bet on that go from the most famous Soccer to more unpopular ones as Biathlon and Futsal. You can pretty much say that they have a very wide list of sports available. The platform offers Live betting as well, but they don’t have Live streaming which is a bit of a letdown for a modern bookmaker. An interesting addition to their site are the Sports News quick links. There you can stay updated for every major event. The feed comes directly from BBC news and can count as credible info. There is a mobile version of the site, but a dedicated application would have been better. Odd formats offered are EU, US, and UK. You have Matched Result, Draw no Bet, Asian Handicap, regular Handicap, over and under goals, Correct score, and many others. You can easily say that football is very well covered regarding betting options. The site uses a secure SSL protocol for their services, so you can be sure your personal information is protected. Customer support is very good with eight languages available on the platform. They have a live chat option and a dedicated phone line open for customers from 08:00 – 22:00. Also, a contact form can be filled and sent when the customer support is not online. Since their creation, there haven’t been any major complaints about this bookmaker. Minimum deposit amount is €10, and the minimum bet is €0.5 which is pretty much the standard amongst bookmakers. Deposit options are many with all major banking methods included. To make it that quickly to the top 100 bookmakers list you can be sure Doxxbet made some attractive bonus offers for new players. And since 11.25.2015, you can easily see what the fuzz is all about. The bookmaker offers the amazing 100% for up to €2000 first deposit bonus which is one of the highest bonuses ever seen on a betting site. However, it does come with a lot of conditions actually to get it. For you first deposit of €10 to €100 you have a rollover requirement of 10x where you have to bet on odds 2.0. The larger the first deposit amount the bigger the rollover requirement. It goes like this, €100 to €500 12 times, €500 to €1000 14 times and €1000 to €2000 16 times. Again, all of the bonus funds should be wagered on 2.0 odds minimum. Yes, the requirements are not ideal but where else can you get up to €2000 welcome bonus? There is also a 90 days deadline to meet these requirements otherwise the bonus funds will be withdrawn from your account. Doxxbet doesn’t disappoint with poker bonuses as well. 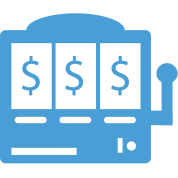 The first deposit bonus for their poker platform is even bigger than the sports betting one. You can get 100% up to €2500 bonus if you use their Promo codes and later acquire the needed Playing points. 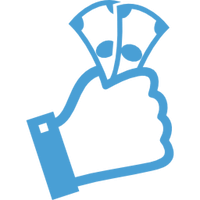 Depending on the bonus amount (from €25 to €2500) the requirements to get the funds are different. The deadlines for meeting them are also different and go from 30 to 60 days. Playing points go from 300 to 30 000 for the €2500. You earn them by playing on real cash tables and tournaments. 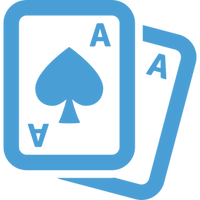 Another current promotion for poker players is the €4000 Rake race. Again to qualify for it, you’ll have to acquire Race points by playing on Cash Tables or Tournaments. This event is held every month, but the requirements and the winning amount can change.